So the start of February has been just as inspiring weather-wise as January with rainy, blustery days that change plans and put a frown on my face. Saturday was no exception with a blanket of grey boring rain cloud casting a bleak look on our snowdrop walk and changing plans that involved the leisure centre instead. On the way home I felt we must go and see something since 1970's council architecture hadn't quite fulfilled the need of some weekend interest, so we took a detour from Congleton up the low gear climb of the Killer Mile to the top of Mow Cop. 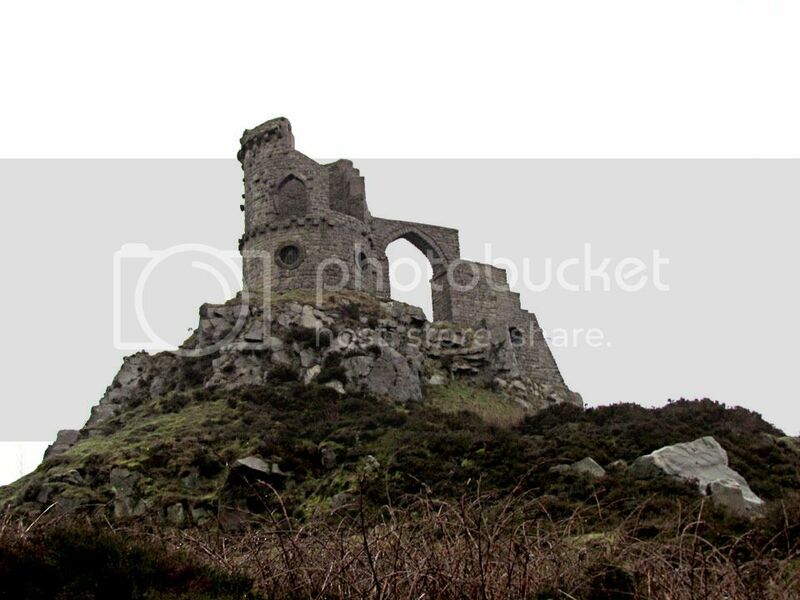 Your prize for reaching the gritstone outcrop is a look at the curious folly of Mow Cop Castle, built in the mid 18th century as a summer house for Randle Wilbraham I of nearby Rode Hall. Of course this wasn't the day for closer inspection and as much as the romantic ruin enticed us, we weren't going to get soaked. Instead I hung one arm out of the car with the camera and we stopped in the car park to admire this mock creation. One for sunnier days to soak up the 360 degree view across Staffordshire and Cheshire, followed by walk across the heathland and quarried rocks that have many stories to tell of Primitive Methodist camp meetings and Georgian picnics.